Vegan Mexican Food? Mercado Mayapán has an all vegetarian menu every Friday! 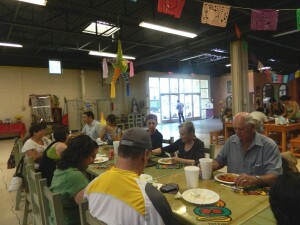 Dishes include vegetable-stuffed red enchiladas, soyrizo and potato burritos and mushroom and chipotle stuffed cactus! Enjoy Spanish rice and lard-free frijoles on the side or a bowl of fideo. We hope members of VSEP will support Vegetarian Fridays and Vegetarian-Friendly Saturdays and Sundays so Mercado Mayapán continues this awesome menu.